Assassin’s Creed Origins has been almost four years in the making now, and it’s clear that expectations are sky-high for Ubisoft’s upcoming video game. After all, there’s no arguing that Origins is one of the most eagerly-anticipated video games of 2017. It is also one of the few video games to be set in ancient Egypt, and judging by the Gamescom video below (posted by Play4Games), it looks like Origins will offer one of the most detailed, cool-looking open worlds in a video game to date. Actually, Ubisoft’s game director Ashraf Ismail and historian Maxime Durand appear in the video to explain what we can expect from this upcoming Assassin’s Creed game and what makes Origins’ open world special. Aside from being able to explore ancient cities like Alexandria and Memphis in the game (which Ubisoft earlier revealed will be some of the biggest in Assassin’s Creed to date), there’s also the wilderness of Egypt to wade through (and finding rare animals which can fight on your side will make exploring the countryside even more appealing in this next Assassin’s Creed). Game director Ashraf Ismail also discusses some of the side activities you will be able to engage in in Origins’ open world, like exploring and raiding ancient tombs. Of course, there’s also the thrill of climbing tall buildings and performing the leap of faith, something that no doubt Assassin’s Creed fans will be looking forward to. In the video we see protagonist Bayek climbing the Pyramids and other ancient Egyptian structures, even if this won’t be necessary to reveal the map as it was in earlier Assassin’s Creed games though. 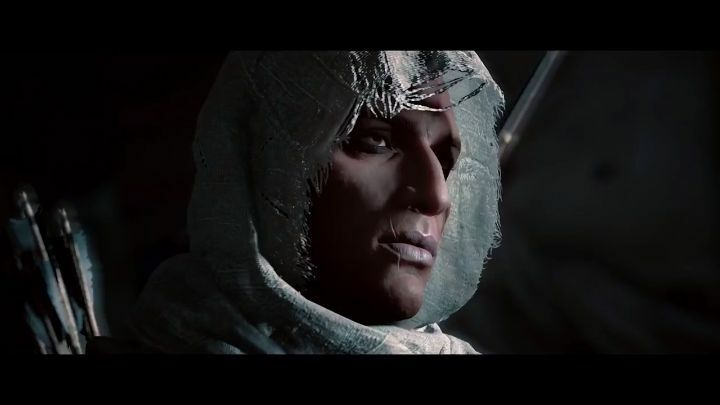 Assassin’s Creed Origins is set in the time of Queen Cleopatra as is explained in the video, and aside from being able to meet and interact with the sultry queen while playing as Bayek, you will also get to meet other historical characters like Roman leader Julius Caesar and Ptolemy XIII (the boy king who is in a power tussle with Cleopatra). Judging by this promo video, it’s clear that Assassin’s Creed Origins could be one of the best-looking, most entertaining games of the year, although obviously some Assassin’s Creed fans will be cautious after Assassin’s Creed Unity’s poor launch in 2014, and the fact that the game that followed (Assassin’s Creed Syndicate) simply wasn’t that great. Nonetheless, judging by what we’ve seen so far it’s likely Assassin’s Creed Origins will end up being a great return to form for the series, and possibly one of 2017’s best games, when it finally ships this fall.